Hello, everyone. I guess you wonder why a person who does lawn service would be giving tips on cutting your own lawn. The truth is that not everyone hires someone to do their lawn. The least I could do is provide a guide to cutting your own lawn for those who might be a first-time homeowner who wants to do it themselves. Besides, it is just being helpful. If you don’t have a lawnmower you have to purchase one. You now have more than one choice. You can go with gas or electric. I am not going to tell you what you should get because it is your choice. 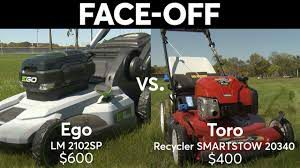 But I will say from a homeowners perspective, that you can make your job easy by using lithium-powered lawn equipment because it will save you from going to buy gas and getting your equipment serviced. Plus it is easier to use and much lighter to use than gas equipment. If you have a gigantic yard then you might want to go to the gas equipment. But again it is your choice. If you have a lawnmower already you want to make sure the blade is sharpened so that you will give the head of your grass blade a clean cut. This will help keep each blade healthy. There are a few factors to consider if you cut your yard the improper height. If your grass is cut too tall you could cause it to mat down and hold moisture. This could invite diseases into your lawn. Remember your lawn will always need good airflow because diseases could make it unhealthy and cause it to discolor. If you cut it too short you are setting your grass up for weed invasion and heat damage. This will also keep your lawn from looking green and healthy. Cool season grasses generally like being cut at around the 2.5 to 3-inch in height. The Tall Fescue grass ideal height is around 3 inches. Warm season grass is generally cut from 1 to 4 inches in height. To see a chart of the grass regions that will help you determine if you have a cool season or warm season grass Click Here. 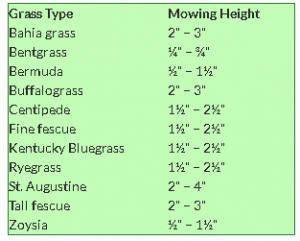 To see a chart to help you determine the type of grass you might have Click Here. The transitional areas can have either type. For the cool season grass, it is usually Perennial Rye or Kentucky Bluegrass. For the warm season grass, it is usually Zoysia, Bermuda or Buffalo. 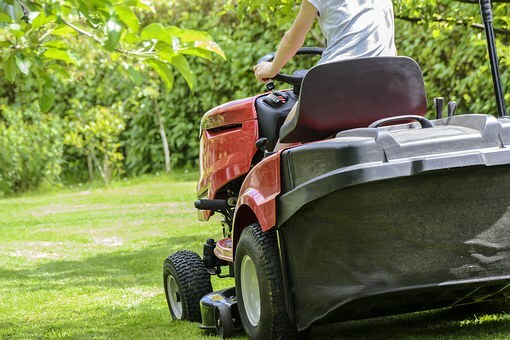 If you keep a scheduled cutting routine your grass will maintain the good cutting height that you chose and it will allow you to never break the 1/3 rule of cutting grass. And last and most importantly never scalp your lawn under any condition. It is better to gradually bring it down to the height you are wanting to achieve than to just drastically turn 5 inches into 3 inches in one cut. Below is a video of what the average lawn should be cut at that being cool season grasses 3 inches & warm season grasses 2 inches. This is a topic that people have their own views of. This is my thought of the situation. If I cut my grass and my customer’s yards all year at 3 inches. Then when the fall is approaching I will lower it to about 2.5 inches. Sometimes the fall and winter transition is weird and you might catch some growth prior to the freeze. This will make sure that the grass won’t get caught with any overgrowth for the winter. Some say don’t cut it lower at all. If your grass is at the original height in the winter that you were cutting it, It won’t hurt anything. Just make sure you don’t leave it tall for the winter months. 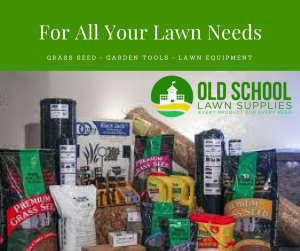 If you regularly cut your lawn at the right height for the type of grass you have your lawn will be stress-free, drought tolerant, getting good airflow and most of all getting the proper sun it needs. All this will help your lawn look very healthy. Thank you for visiting us and I hope that this information was helpful to someone. If you have any questions or comments please leave them in the comments section below. I love your site, Although I am one of the people who prefer to do my own yard care. I am often found outside barefoot, cutting the grass or digging in the garden! New to me is cutting grass at different lengths based on the type of grass! I never knew! Your site offers so many helpful tips and tools to keep my yard looking pristine! Thank you! You are welcome. A lot of people often ask me how could I do a lawn service and give all the tips away. Well, I know there are people like you who don’t mind doing their own lawn so I try to be helpful about it. Then there will always be the ones who don’t mind having a service. So this kind of let them know that at least I have a clue to what I am doing. I hope you enjoy your season. With that said, we are in the market for a new lawnmower and I have been seriously thinking about a lithium powered mower. They are quieter and require no gas. My old mower will just about shake the worms right out of the earth it is so old and noisy. We also live in a warm climate and have to overseed for the winter. We have Bermuda in the summer and Rye in the winter. He will have plenty of opportunities to get the hang of it. I am going to have my son read this article, it’s great to have some reinforcement when he doesn’t want to listen to dad. I know how that is. Be my guest to turn him on to as many of these articles you need. It will be my pleasure to help him understand what needs to be done. Shake the worms out the ground. Lol. I got to use that one.